Kids on Bikes is a new storytelling RPG from Renegade games. 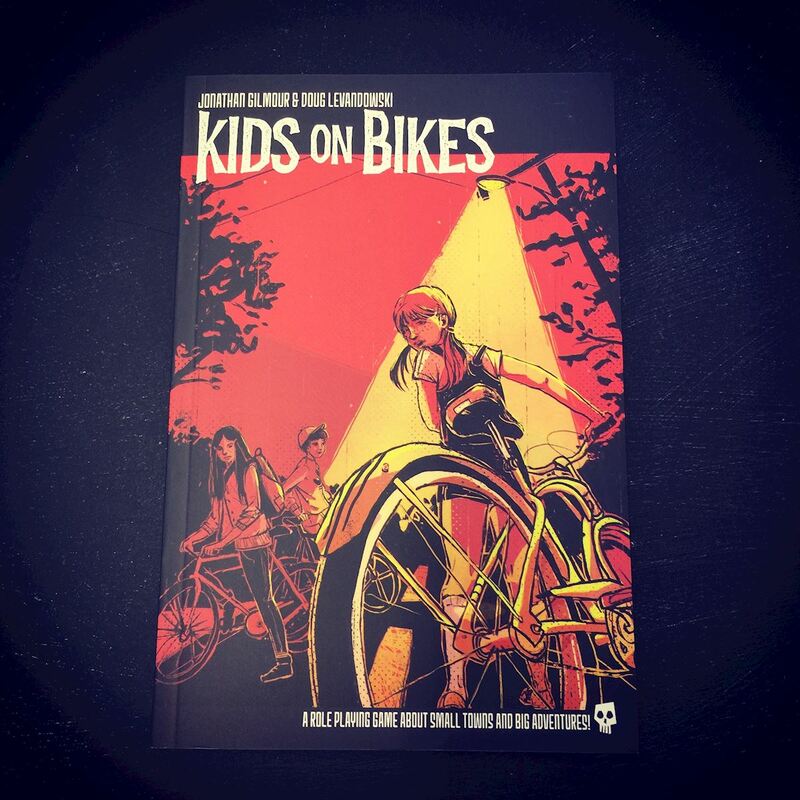 In Kids on Bikes, you'll take on the roles of everyday people grappling with strange, terrifying, and very. very powerful forces that they cannot defeat, control, or even fully understand. The only way to face them is to work together, use your strengths, and know when you just have to run as fast as you can. A fun and lightweight storytelling game that piggy backs on the popularity of Stranger Things. Just in time for Halloween. Possibly a little too light on mechanics for a long running campaign, but great for a short miniseries. As a fun hook, players share control of a powered kid. The mechanics for the shared control are a neat narrative device.